Today I’m going to share with you about my experience with Clarisonic. From my very first time I started using Clarisonic, I fall in love with that awesome beauty device and till now I’m very happy with it.Why? Because my skin has changed dramatically well and now I hardly can t imagine my life without using my Clarisonic. I got to know about Clarisonic about a year ago, however, but there are still lots and lots of people out there that till now never heard about this fantastic product. So, what is Clarisonic? 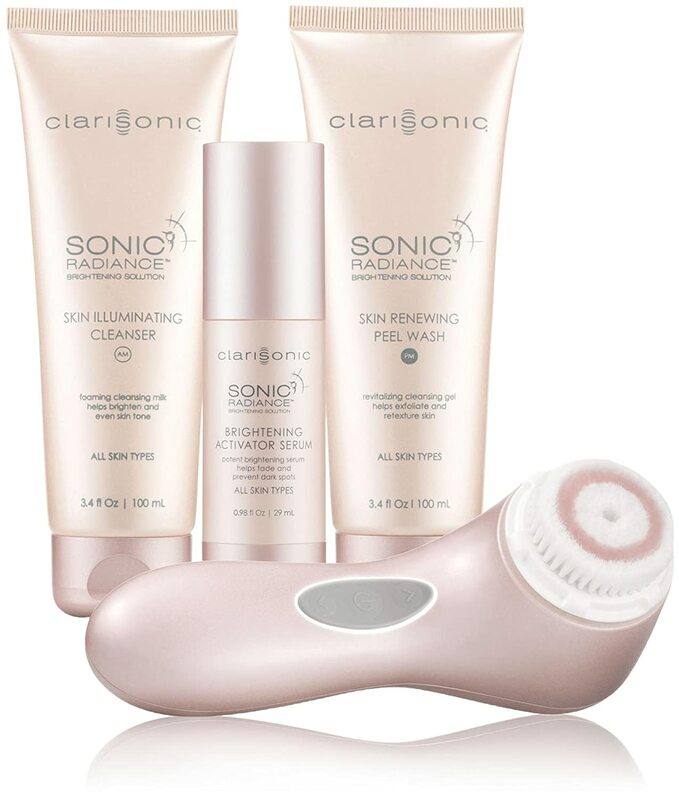 Clarisonic its a cleansing device and its like “toothbrush” for the face; Many people are becoming very addicted to using that product including myself. At the end of every single day, I enjoy to clean my skin with Clarisonic as it makes my skin crystal clean. What Clarisonic did for me? I should admit that my skin was reddish around nose area since my childhood and I was using make up to cover it (so pretty much I did not think that there was a way to get rid of that redness). To my surprise after using Clarisonic twice a day, redness totally disappeared about two weeks later!!! And since then I did not have that problem ever again. Also my skin became much softer and more firm as due to more than 300 sonic frequency movements/per second, brush constantly cleansing and massaging face at the same time. Additionally, movements of the brush polish skin and removing dead skin cells, so skin’s cell are renewing all the time as its kind of micro microdermabrasion for the skin. How often you can use it? When I just started to use sonic device, I was using it twice a day: in the morning, after I woke up and in the evening (simply because I liked how my skin feels after cleansing). Six months later, I have changed my routine to once a day and now I do it every evening only. How to charge Clarisonic? Another amazing thing about Clarisonic that you can charge your device via your laptop and/or IPhone charger. I live in New Zealand and charging the device was one of my concerns before I bought it (as power socket and voltage we use in New Zealand Is slightly different). Normally when I buy overseas, I need to use international adaptor to charge equipment and also some companies don’t provide warranty in that case ( if you use your product in countries with different voltage – please note that you better check all specific requirements before purchase ). But when I got my device, I was surprised to know that charging can not be more easy to do. I don’t even need to use international adapter to charge my beauty gadget; I just plug device’s cable directly to my apple adaptor or to my laptop and that’s it. Cleaning session while getting shower? Yes, you can. Most devices on the market you can only use without water touch. However, its not applicable to Clarisonic. Its waterproof!!! Actually maybe I’m so dedicated towards Clarisonic that now I clean my skin while getting shower all the time and its so much easier for me. out water touch. However, its not applicable to Clarisonic. Clarisonic is truly amazing product and personally think its one of MUST HAVE product for home use. Please let me know in comment below what do you think. If you like this post, please check also my express magic solution against first sign of aging.